Real estate data APIs can add more impact to pages provided by agents about neighborhoods. 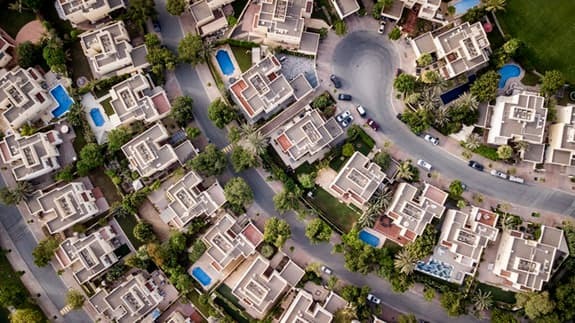 Real Estate Data APIs give you an advantage in a saturated real estate market where you need to do everything you can to stand out in the eyes of potential clients. From networking to newsletters, there’s always something agents can do to generate interest. However, what if you are overlooking one of the most impact-heavy, yet inexpensive real estate marketing ideas: Community Pages on your website! This can be a little time-consuming to set up, but in the long term these pages will prove useful. But here’s the key. Who has time to keep that page up-to-date? With tools such as Real Estate Data APIs, you don’t have to update the information. The data feed does it for you. Here are some valuable data feeds you can add to a community page. Most people have static pages. Yours will be dynamic with true current real estate market data. That’s the magic of adding Real Estate Data APIs. Because a real estate transaction – whether buying or selling – is such a major deal in a person’s life, it’s no surprise that potential clients are looking for the best agent with lots of local knowledge and experience to help them through the process. Adding pages to your website to compile information on each neighborhood you target is a must to demonstrate that you are equipped with both. If you’ve been a real estate agent for a decent length of time, you are already familiar enough with the local neighborhoods and communities to have a great start. Some of the most useful data to research and compile might include the history of the city, demographics, schools, attractions and eateries, local weather, and major highway accessibility. But to be really impactful, especially in this day and age of Big Data, you should also include a real estate data feed provided by a Real Estate Data API, showing updates on pricing and sales trends. That will catch people’s attention, both buyers and potential sellers. As a potential buyer, the amount of research that these clients may want to do is seemingly endless. If a buyer, during the course of their online search for hyper-local information, finds your website, they will be more likely to contact you after seeing what a wealth of information you have. Even if you don’t end up being their agent, making a good impression can help influence them to recommend you to their friends and relatives. As a potential seller, these clients need help finding out all of their home’s best selling points. By using your community page and data tools, they can more clearly communicate to a potential buyer the right price, the local amenities, the schools, parks, highways, retail areas and hospitals, the job market, and the real estate market trends. SEO, or search engine optimization, is one of the most important commodities a business can have. When Google or Bing likes you, results increase dramatically. Search engines rank you more highly for having local keyword-rich, valuable, relevant local information. Having well-written and highly useful community info pages on your real estate site will help drive more traffic toward your business. However, there’s more to the equation. (Google has more than 200 algorithms it reportedly uses to measure websites). Google also takes into account how often you update your web pages. They don’t like static pages that never change over months or years. With Real Estate Data APIs, your pages are continually updated with fresh content. Secondly, Google also measures time on site. Current information showing changes in market trends is more likely to draw more users who will stay on the page longer. In fact, you can use your social media sites to inform prospects and the general public when you have updates on your community pages. That will create more visits and time on page. Google and Bing like that. They may reward you with higher rankings. When it comes to generating leads, higher organic rankings are like money in the bank. As everyone in business knows, if you can get to page one of the search results, you can become an unstoppable force! You know a lot about your city, and the communities within, but you should never stop learning and there is always something new for you to discover and enhance your practice. You should look at the creation of community info pages as a valuable learning process, not simply a means to an end. When you dig in to researching the history of your community and its landmarks, the school options, and the jobs and activities, you will firmly cement this information into your mind for future use. Not only does your knowledge and expertise impress your clients, but it also provides complete context for you when determining listing prices. With Real Estate Data APIs constantly feeding your website new insights into the state of the local market, you will be able to walk the talk about current conditions. And you can use that knowledge to drive more people to your website, hopefully that will generate phone calls or leads. This is 2019. Static community pages are old school. The technology is out there to make your community pages dynamic. And to disseminate real estate market data, not just on city or zip code level, but all the way down to the neighborhoods or subdivisions you are farming. Working with data aggregators such as Home Junction, with one of the best Real Estate Data APIs available, you can now feed vital information onto your community pages, making them a true resource for buyers and a way to truly impress sellers.